The Happy superstar and his wife Helen Lasichanh welcomed two boys and a girl in January, 2017, and they have had their hands full ever since, as they are also parents to their nine-year-old son Rocket. Despite his busy home life, Pharrell has managed to keep churning out hit songs as a producer and artist, while also touring with his reunited band N.E.R.D., and working on various fashion projects. 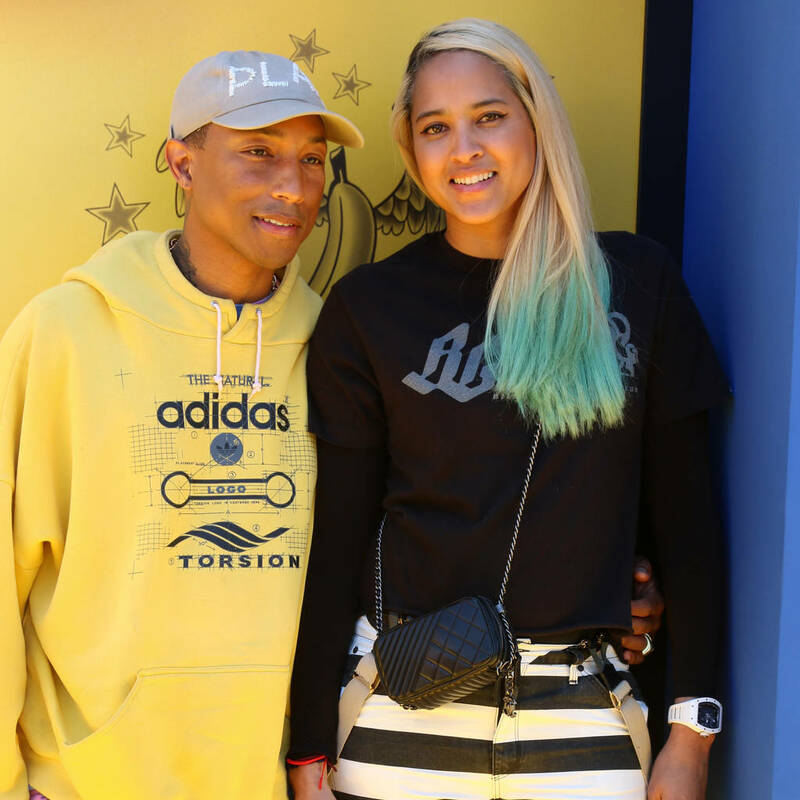 However, Pharrell admits none of that would be possible if he and Helen didn't have full-time help as they rely on the professional support system day and night. "We're not alone…," he admitted on new talk show GMA Day. "Our parents are involved and we also have a staff; in terms of nurses, we have like, 12 people… Twelve ladies are in constant rotation: three in the morning, two at night." Although the babies are not even two years old, Pharrell admits he is already starting to dread the day his little girl starts dating. After learning co-host Michael Strahan's twin girls are 13 years old, he remarked, "You're building a new fear." "We have a daughter too, man, and this world is a crazy place," Pharrell said. "It's a beautiful place, but it's a crazy place…"
The musician's comments about the couple's hired help comes a year after he heaped praise on Helen for taking care of their babies' every need. "My wife is (U.S. Navy special forces) SEAL Team Six," he gushed on breakfast show Today of her abilities as a mum. "There's nothing she can't do. I mean, she carried those three bodies, and she's just on it all the time." Pharrell, who has yet to publicly announce the names of the new additions, also gave fans an insight into life as a father of triplets. "I have a tribe," he smiled. "It's an assembly line… they harmonize (when they cry). It's 'Waah! Waah! Waah!' all at the same time. Like one cries, the next one cries, the next one cries. They're hungry, they're hungry, they're hungry."